This recipe was submitted by Juli Ann Bickle, a busy mom and realtor who loves healthy food! Juli Ann doesn’t like things that are overly complicated or take too long, but she does LOVE to feed her family well. She is always coming up with great recipes for veggies to encourage her son to enjoy good food. This is the perfect snack for movie night or after school, especially if you serve it with a fun homemade dip. Kids don’t have to hate eating their veggies! If they are seasoned right and served in an appealing way most kids will say yes to veggies. This is a very simple recipe and can be modified in so many ways to suit your own tastes. Broil at 500 until tender and slightly blackened. You’ll need to keep your eye on these to get them just right. Additionally you can toss these in Franks sauce before roasting to make buffalo style poppers and serve these with any of your favorite dips on the side. If you blacken them a bit, they are very crispy, and who doesn’t love crispy?! 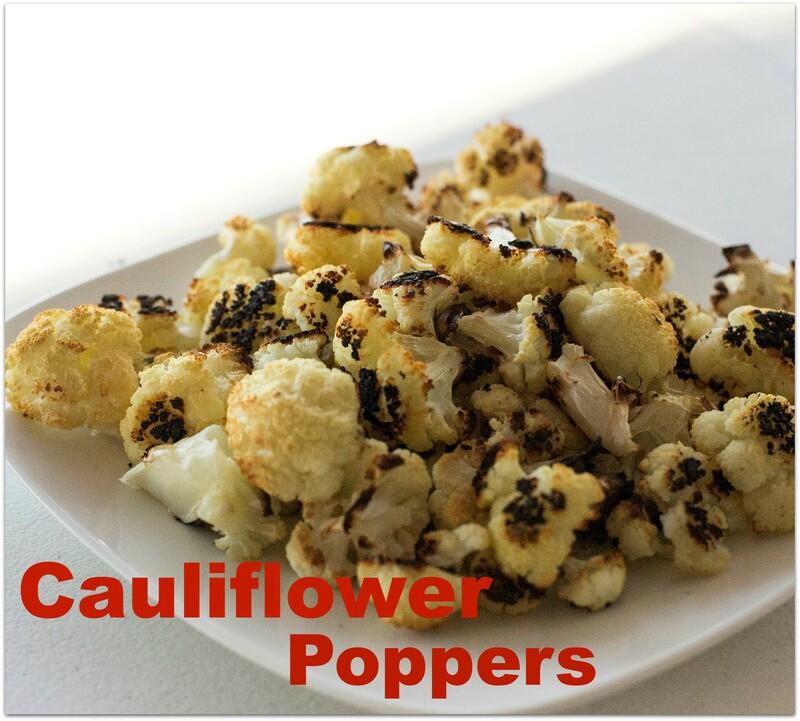 What else do you do with cauliflower or what other sauces can you come up with for these? Don’t be afraid to share!